Hello Marketers! In today’s interview, I am talking with Artem Borodatyuk. 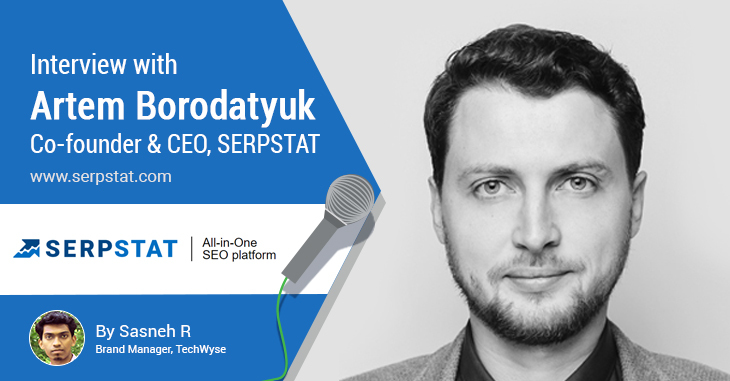 He is the co-founder and CEO of Serpstat, one of the leading competitor analysis tools available on the web. Back in 2006, Borodatyuk founded Netpeak, a digital marketing agency that focuses on SEO and PPC services for businesses and startups. Six years later, Netpeak became the #1 media agency and #2 Ukrainian digital agency. Today, Netpeak has eight operation centers in 5 different countries (Ukraine, Russia, Kazakhstan, Bulgaria, USA) and a team of over 300 professionals. Serpstat was founded in 2013 as a keyword research tool for Netpeak. By 2015, Serpstat had grown significantly, which helped Netpeak to make Serpstat an independent SaaS. In 2012, Artem became co-founder of the Ukrainian startup incubator Wannabiz. He has also co-founded Ringostat.com, an independent SaaS focusing on call tracking. A big thanks to Artem for taking time to answer my questions. Q: Can you talk a bit about the story behind Serpstat? How did you start and what were the most difficult challenges you faced during the initial stages? Serpstat was born as the keyword research tool in Netpeak Agency. Netpeak Agency is the largest SEO and PPC agency in Eastern Europe with more than 350 employees. Main Netpeak’s markets: Ukraine, Russia, Kazakhstan, Bulgaria. Working in Netpeak, we faced a problem: there was no competitive analysis and keyword research tool with an Ukrainian database. So we had to create it for our own purposes. It was not a dedicated team in the beginning of 2013. But 2 years later in April 2015 in-house product became independent company and from this moment started raising rapidly. The team in April 2015 started with just three employees — Founder Oleg Salamaha, developer and support specialist. Soon we became leaders on the CIS market, and in 2016 we received investments that were for the purpose of helping us enter the global market. Our team started growing and I took the position of CEO at Serpstat to develop the product from the April, 2016. Now our main goal is to win the global market. There is no doubt it will be challenging for us as many people have got accustomed to work with established leaders like, for instance, SEMrush or Ahrefs. However, we believe we’re working on making our product worth switching to. Over the last year we became the most upvoted SEO tool on ProductHunt and the best selling SEO tool on AppSumo — so we know we’re on our way. Q: What are your favourite features about Serpstat? What makes it unique compared with your competitors like SEMrush? I’m proud of our latest updates — Keyword Clustering and Text Analytics tools. These tools are unique on the SEO-market. Keyword clustering is the tool for grouping semantically related keywords to make it relevant to a particular website page. It’s useful in site structure creation process. The other tool — Text analytics which recommends you what keywords to use in Title, H1, and Body based on the top-10 search results of all keywords. SEMrush is one of our strongest competitors with a lot of great features. At the very beginning we looked up to them and tried to monitor and keep track of their achievements. If we compare our tools, we should pay attention to our backlink database and rank tracking tool. Unlike other rank tracking services on the market, we keep track of all top 100 search results for a keyword, not only the rank of one domain. Serpstat users don’t need to create separate projects for monitoring competitors’ ranks. Another thing I proud of – our API terms. It’s open not only for the corporate tariffs but for the single users as well. And creating custom reports Serpstat’s API allows pulling any data set you want. Our development team is located in Ukraine. As a result, product development costs are significantly cheaper than similar products in the US. Since Serpstat is much younger than its competitors, we have modern technologies that allows us to develop new functionality faster and cheaper. Q: Even though there are many tools that provide estimated traffic, the estimated organic traffic provided by Serpstat correlates with real traffic. How is this data estimated? We have two difficult indexes — visibility and SE traffic. It’s quite confusing, but I’ll try to explain. Visibility indicates how often the domain is shown in search results for the keywords that it’s ranking for. Put simply, how visible a site is in search. SE traffic — number of visitors per month. It based on CTRs — the proportion of the number of clicks to the number of impressions. And don’t forget that our data correlates with real traffic from search and for specific region! In other words, we know how popular the keyword is, we know its frequency and its position in the SERP by this keyword. Thus we can assume an approximate number of people who will go to our site for this keyword. The indicator is conditional, it’s not a real number of site traffic. The best way to use this feature is to monitor how visibility is changing over time. Or to compare the visibility of websites in the same niche. Q: From Backlink Analysis to the Rank Tracking Tool, Serpstat provides multiple tools for SEOs and content marketers. Can you share with us how your team researches, brainstorms and implements new features? Oleg Salamaha is the Founder and VP of product. He is responsible for our team of developers. This department is divided into smaller teams, and each team has their Team Lead and QA. Iteration at Serpstat lasts 14 days. Once every two weeks there is a meeting for all Heads of departments and Team Leads to discuss the tasks that were finished during this period, and which tasks are to be taken on for the new period. This kind of workflow is new for us so there are a few things we have to iron out and perfect. Nonetheless, it has proven to be a great way of approaching things so far. Q: Serpstat is powerful enough to handle more than 5M requests every month, but sometimes a single bug in the code or a system crash can result in corruption of important data. What kind of security measures and risk assessments do you have in place to handle bugs and security threats on your system? Nothing too complicated. We have a good backup system. This gives us the ability to fix all corruptions immediately. Even if the user loses important information — it’s all preserved. Customers can report a bug to our support chat. Q: Serpstat and Netpeak checker have grown into some of the world’s most popular SEO analysis tools in a short period of time. What are some of the marketing strategies you have found most effective in bringing your product to market? We have 12 people working in the marketing department: Content marketers, PPC-specialist, analyst, and others. We’ve also opened a video production studio recently so be ready to get interesting stuff on our youtube-channel from our evangelist Igor Go. Our main point — is content. We create a lot of articles, investigations, infographics, videos, interviews with experts. Content Marketing is the the best way of marketing today, and it is proven to work very well in the long run. I think our main achievements, as I said earlier, are the ProductHunt and Appsumo deals. The last one allowed us not only to earn $250 000 in one week, but also win a new audience and attract traffic from US and Canada. Our brand requests have grown significantly. Also, we named in the top-2 the world’s best SEO tools under the version of G2Crowd. We really appreciate the trust and support of our customers. Q: Do you have any secret techniques that you use to identify content gaps and easy keywords using Serpstat? As to easy keywords, we have the Keyword Difficulty feature for this purpose. It is a parameter that shows how difficult it is to rank high for the requested keyword. Some of our competitors have this feature too, but it’s based only on the backlinks. We added several additional metrics to improve its accuracy: external backlinks, referring domains, Serpstat Page and Trust Rank, number of domains and URLs that have the targeted keyword in page title. As to content gaps, we have URL vs URL and Missing keywords features. These two modules allow the user to compare their page with the competitor’s page and find out what they’ve missed. Q: What sort of training and resources are provided to new Serpstat users? Do you provide continuing education for existing customers? Of course we do. We have Serpstat Academy — a free learning center on AcademyOcean engine, which provides all information on how to use Serpstat and everything there is to know about Keyword Research, Competitor Analysis and SEO in general. We have use cases, tutorials, and webinars on our site, along with a great support team. Also, as I said earlier, we’re going to be making a lot of videos for our YouTube channel. 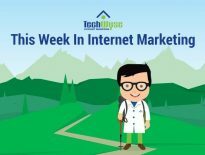 Q: Do you think Google will continue to rely heavily on links as a major ranking factor as machine learning becomes more popular? Where do you see SEO going in the next 5 years? I see that SEO is getting rid of all tricky tactics now. Of course, links will remain important, but we’ll have stricter guidelines. 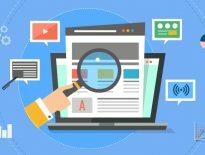 It will be impossible to use any black hat SEO techniques, so the quality will be the main value. This is why platforms like Serpstat are becoming so popular — our service allows to improve content, site structure and quality in general. I believe these factors will be crucial soon. Q: Thanks for taking time to attend our interview. One last question, are there any new features we can expect to be launched in the coming months/year? We’re going to change the site audit feature completely. It will be a sort of checklist. We’re also extending the number of our databases for Google. About a month back we launched a German database and it’s way larger than what our competitors have. Now we have beta version of France base and I think it won’t be too long before we go live with it. Among our customers there are many agencies which like our API terms. We have one of the best API on the market for the reasonable price. I guess it’s the main thing which makes them switch to Serpstat. Thus now we’re developing our product to make it more convenient for agencies. We work on upgrading to multi-user system and soon we’ll add more functions for agencies as well. Thanks again Artem for attending our interview!